“Girls On The Run is so much fun…yay!” The positive cheer with which we end each lesson sums up the whole Girls On The Run program perfectly. 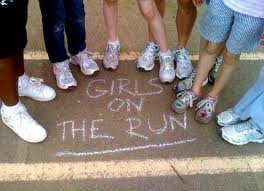 I’ve long been enamored with Girls On The Run. 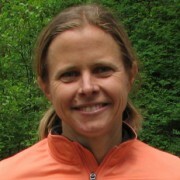 As a teacher with a special affinity for both girl empowerment and physical activity, I have incorporated similar elements into my curriculum while teaching at a girls’ school in Bellingham and also at schools and community youth programs in New Zealand. But this past spring marked my first opportunity to help out with the official Girls On The Run, as a running buddy to a friend’s fifth grade daughter. After running the 5K with Sophia, I was hooked and wanted to find a way to help out even more. When Marlen Mendez, Columbia Valley Girls On The Run director, put out a call for coaches, I found my chance. An athletic group of women (and also one man — men can assist with GOTR, too!) filled the training session with positive energy and fresh enthusiasm. After the thorough afternoon of coach training, I was jazzed to find a team. When a last-minute conflict came up for a coach scheduled to lead Sunnyslope Elementary School’s team this fall, I stepped in to help lead alongside Mendez. We recently wrapped up a fantastic 11-week program, and I already miss these girls so much! It was amazing to me that in such a short time a group of 15 fourth- and fifth-grade girls not only gained the proper physical conditioning to successfully complete their first 5K run (generously sponsored this time by RunWenatchee with help from Libke Insurance and Wenatchee Valley Medical Center), but just as importantly they gained a level of confidence and trust in themselves and each other that will stick with them for life. The girls learned valuable tools for healthy all-around living. They gained tips about proper nutrition, how to work as a team and support each other productively, the power of positive thinking, the importance of self-esteem, how to stand up against peer pressure and bullying, and how to transform, plan and take action for causes they believe in. They improved their public speaking skills, carried out a successful kid-designed community project, and routinely blew their coaches’ minds by expressing mature, profound statements about their perspective on the world. We were flattered that every girl that participated in the Sunnyslope program this fall wanted to sign up again in the spring, but we also want to ensure that there’s enough space and coaching staff for new students to join the fun. If you are interested in finding out more about volunteer coaching opportunities with Girls On The Run, please contact Marlen Mendez at (509) 661-3623. 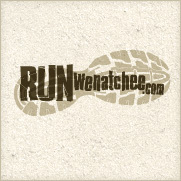 Marlen is seeking coaches for Morgan Owings School in Chelan and for a few schools in Wenatchee. 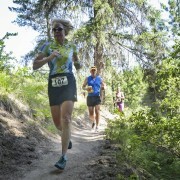 To register to coach, visit http://www.regonline.com/coachregistration.